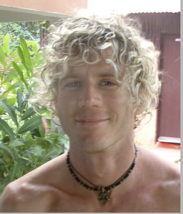 Mark Darby has been practicing Ashtanga Yoga for over 30 years. He began with Sri K. Pattabhi Jois, the master of Ashtanga Yoga, in 1979 when he spent four years in Mysore, India. He is one of the few teachers worldwide who has attained the highest level of Ashtanga Yoga teaching accreditation and is certified by Pattabhi Jois to teach the original Ashtanga method. Darby's teaching is dynamic and direct while giving students the essence of the energy of this yoga. His wisdom and warmth attract a vibrant community of students who are drawn to his humor, his attentive nature and his steadfast commitment to improving each student's physical alignment. Darby gives workshops all over Europe, Canada and the United States. He continued to spend a few months a year with his master in Mysore. Shankara was born in Mysore, India, the source of teachings of the Ashtanga Yoga taught by Sri K. Pattabhi Jois. 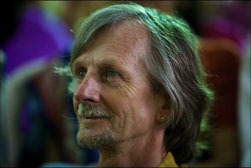 He has grown up surrounded by the practice and principles of Yoga. His personal quest to deepen his understanding has led him to explore many traditions and to discover a common essence to them. His transmission of the practice is full of Love for the Tradition of the ashtanga system and carries a depth and adaptability that is bound to Inspire and touch the Heart. Terri Mc Collum Coming from an active background, Terri discovered the practice of yoga asana in her early teens as a compliment to her other physical activities. She further solidified this interest by traveling to India in 1996 where she delved into the practice and philosophy of yoga and its myriad of forms and teachers. Over ten years later she has a dedicated love and practice in the Ashtanga Vinyasa method. She has completed her degree in Asian religion and south Asia, traveled several times to India and continued to practice with Pattabhi Jois and his daughter Saraswati and Grandson Sharath in Mysore and has pursued studies with numerous certified senior Ashtanga and Iyengar teachers. Through her love and faith in the Ashtanga Vinyasa method she hopes to inspire and nurture her students to cultivate their own yoga sadhana. Jamie Lee born a Leo, grew up in Brantford Ontario; where as a child he began his visionary artistic endeavours by exploring life, rhythm and tempo through various sports of Triathlon and Ironman. 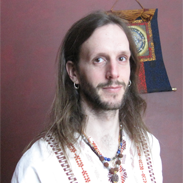 His body became the vehicle to explore the principles of yoga, sacred geometry, science and metaphysics; eventually gaining a Bachelors degree in Kinesiology from McMaster University. The hidden world of occult knowledge, ancient esoteric philosophy and the mysterious parables of life have become the gateway to his resurrection, transformation and evolution as a human. Forever mesmerized by the dancing of spirit, the holographic nature of reality, unlimited potentiality and the eternal roots of infinity; ... his life and its artistic expression has become the landscape to express, grow, expand, radiate and become. Marlène Bouchard explored with yoga at home in her early twenties, and found her path in Ashtanga yoga after her first class in this style in 2004. To deepen her understanding of the method, in 2009, she studied at the Main shala in India with Sharath Ragaswami and has been devoted to the Mysore practice with Darby and Joanne since. She has completed the 2010 Teacher’s training with Darby and she has taken workshops with Rolf in Goa and with John Campbell. 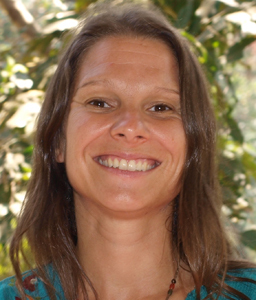 Motivated by her passion in Ashtanga yoga, she’s completing an anthropological research degree to better understand the impact of this method in the practitioner’s lives. She hopes that her teaching approach will allow one to see how all aspects of our lives is interwoven and how yoga can become a gateway to observe this whole. 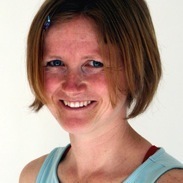 Kate Brennan With a background in long distance running, back-country skiing and other outdoor sports, Kate has a good understanding of the needs of active people. She began to shift her focus to yoga in 1998 after eight years as a massage therapist. She has trained in India, San Francisco, Calgary and Montreal, completing a year-long intensive training with Allison Ulan and Mark Darby in 2004. She has taken workshops and teacher trainings with Richard Freeman, Chuck Miller, Karen Haberman, Father Joe and Larry Schultz, and is currently studying with Hart Lazer. Enjoying the breath-movement connection that the vinyasa flow provides, Kate continues to explore breath and prana and how they connect us to our true selves. Also a mother of two, her family life inspires her to be as present and in the moment as possible—in fact, her children have taught her the most valuable lessons in yoga! 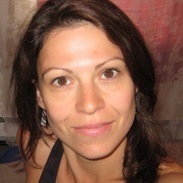 Tara Lutchman first discovered yoga in CEGEP and has been a dedicated ashtanga practitioner ever since. As her practice deepened, yoga became more than a series of postures but a lifestyle and a philosophy that began to pervade into all areas of her life- emotional, spiritual and physical. Tara’s love for the practice is reflected in her classes, leading, fun, informative, challenging classes within a non-competitive, warm environment, facilitating all to look inward. 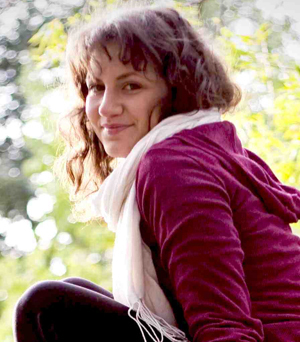 Tara graduated from McGill University in Environment, and is the founder and owner of T-Tree Soaps where she produces environmentally friendly and vegan hygienic products. She is committed to living, as best as she can, within the respectful bounds of the environment, and sees that the path of yoga is inevitably and ultimately within nature. Ying Ni first discovered yoga asana from a book. This was in the early 1990s while she was still living in China. She was fascinated by the photos demonstrating how the human body can be twisted or stretched in unbelievable ways. 200 hour- intensive training with Mark Darby in 2009. 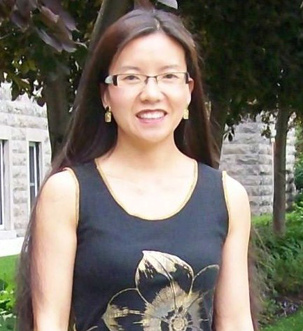 Through her fun, creative and energetic classes, Ying hopes to instill her love of yoga to everyone. Yaelle Wittes was introduced to yoga by her mother at an early age and was immediately drawn to the practice. A theatre student with a passion for movement, she studied dance, and became certified in group fitness and personal training. She experimented with various forms of yoga, though from her first class with Mark Darby in her early teens, she always felt she was an Ashtangi at heart. She completed a 200-hour intensive training with Mark Darby and Shankara Darby in 2009, and has taken workshops with Pattabhi Jois, Manju Jois, and Kino MacGregor, amongst other inspirational teachers. 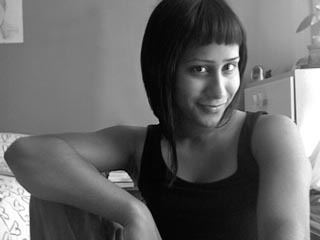 She traveled to India for the first time in 2010 to practice with Sharath Jois in Mysore. She has come to learn through her own practice that yoga can be a source of healing, and helps develop self-awareness physically, mentally, emotionally, and energetically. She encourages her students to work deeply and also find a sense of play in their practice and themselves. Anne-Marie has always been passionate about the arts, her little darlings quickly became, danse, music and literature. As a young adult, she began her journey studying literature and later changed her focus to dance. 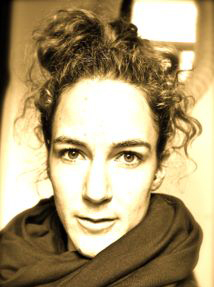 In 1996, she graduated from Les Ateliers de danse moderne de Montreal from which she came out with a bag filled with knowledge and thirst to continue learning! Over the years, Marion has worked and performed with many independent and celebrated choreographers from the Montreal scene. And then she made a valuable encounter: Yoga. Along the way she explored various schools in this art of living. Finally meeting Darby, Joanne and Shankara who helped her deepen her practice, and this philosophy of life shaded with the colors of the Orient. In addition, traveling gives her the opportunity to imprint her eyes and her heart with enriching music from around the world. Anne-Marie is also the mother of a beautiful little elf who with her magic reminds her Mother every day that the present moment is a pure treasure!